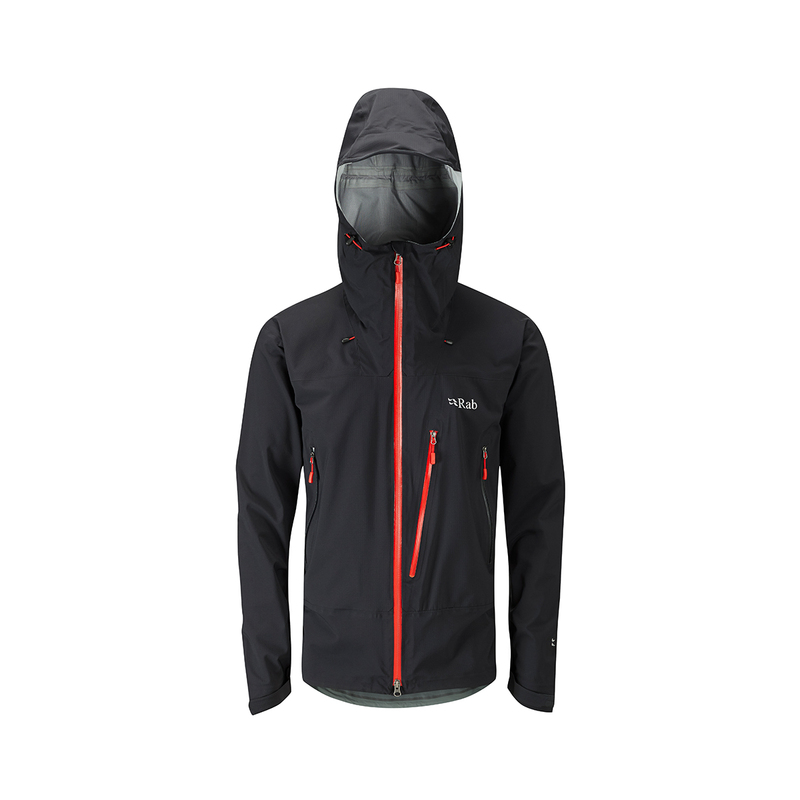 The Rab Firewall Jacket Men is a lightweight, waterproof jacket with Pertex Shield + designed for fast-moving outdoor activities. Pertex Shield+ makes the Rab Firewall Jacket Men durably waterproof (20,000 mm) but also gives it a high level of dynamic breathability for comfort during intense activity. This comfort is further increased by an innovative new venting system, YKK® AquaGuard® Escape Artist™ full-length pit zips, that allow the arms to be fully taken out of the jacket when things heat up, and other technical features include a helmet-compatible hood and a regular fit to comfortably allow layers underneath. Ideal for the fast-moving athlete in need of reliable and adaptable weather protection. Lightweight, waterproof fabric designed for aerobic outdoor activities. Pertex Shield® + uses a hydrophilic (water-loving) PU membrane that provides a high level of dynamic breathability - the harder you work, the greater the breathability of the fabric.